One of the great features of the ANNIKA Collection by Cutter & Buck is the way its pieces complement each other. 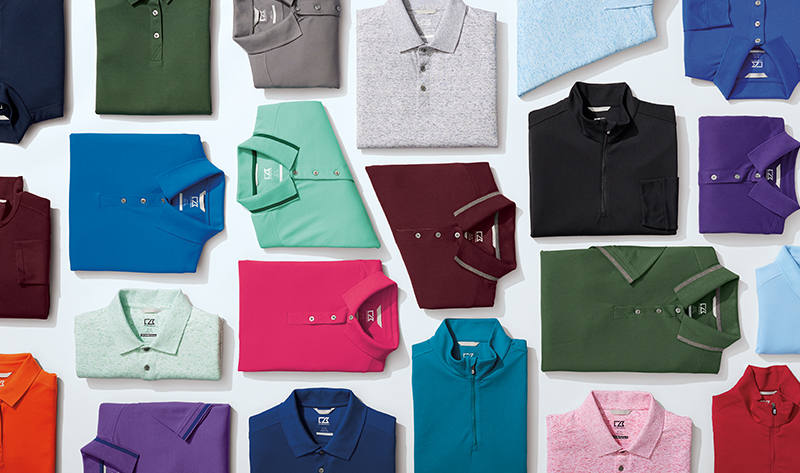 With just six pieces – two tops, two bottoms, two pieces of outerwear – you can have a complete golfing ensemble. 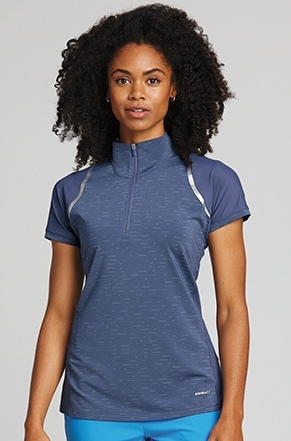 A Top: You want a lightweight performance piece that allows movement and wicks away moisture. Naturally, it should look great too! 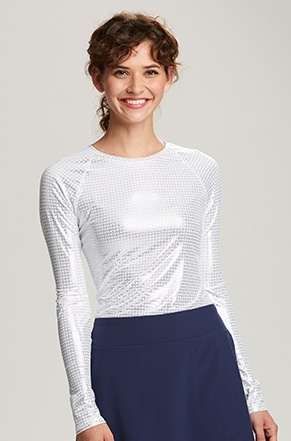 Right now we’re loving the space-dyed look of the Short-Sleeve Elite Contour Mock. Long-sleeve and sleeveless options are also available. A Solar Guard: Sun protection is a necessity when you’re spending time outside. 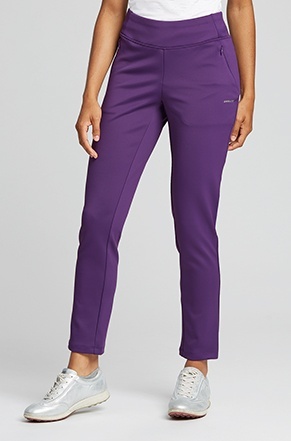 So look for a base layer that’s rated UPF 50+ with excellent UV protection, like the Solar Guard shown here. The silver makes for a stylish layering option, or you can wear it all by itself. A Skort: For the perfect combination of fashion and freedom to move, we say go with the Competitor Skort. But if you’re more of a shorts gal, you can find those in a variety of lengths: 6-inch, 8-inch, or 14-inch knee shorts. All of them feature 4-way stretch for a great fit. 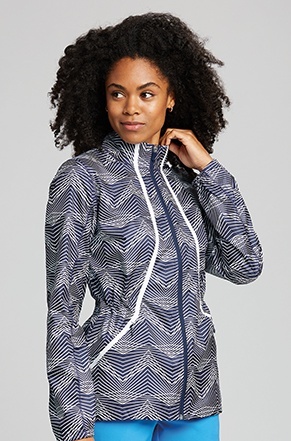 A Windbreaker: A light outerwear layer can be a necessity for early tee times. And when it looks as stylish as the Cloud Breaker Full-Zip Jacket, you have something that can be worn well into the evening’s after-golf festivities. A Transitional Outerwear Piece: When the weather turns chilly on you, you don’t have to put away the clubs. Instead, that’s the time to pull out the Propel 2-in-1. 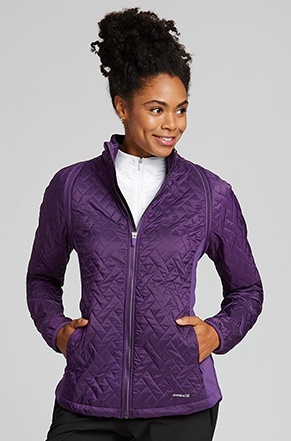 This handy quilted jacket converts to a vest in a zip. 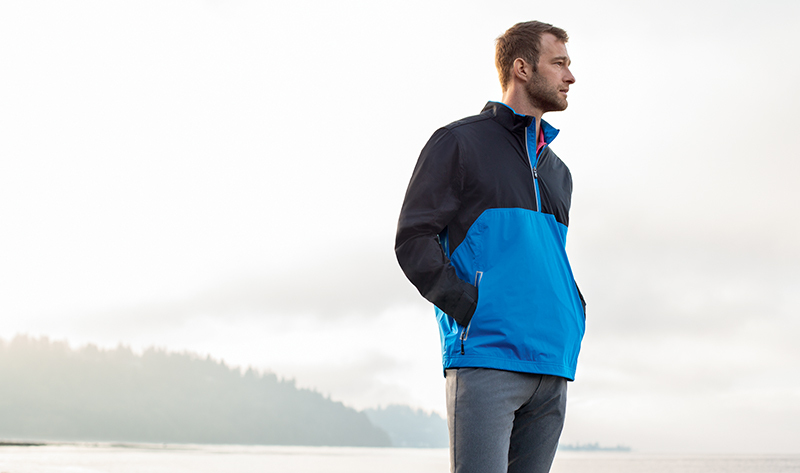 Made with CB WeatherTec fabric, it’s wind- and water-resistant, lightweight and quite packable.